﻿ The company that Diamante keeps isn’t really the expected one at first glance. The US radio-rock scene has notoriously been a boys’ club for years now, so it’s definitely encouraging to see an artist like this thriving, already nabbing tours with Five Finger Death Punch and Breaking Benjamin and collaborating with Bad Wolves. Still, the fact that Diamante entered 2018 as a virtual unknown suggests something of a major label push above anything organic, positioned as the “token female” act in a bid for roster diversity. It’s not the right mindset to have by any means, but it’d be naïve to suggest it’s out of the question. Unfortunately that seems to be the case too, as if this was released in the ‘80s, Diamante would be a prime contender for stereotypical “rock chick” as an attempt to break up monotony in the scene. But comparing this her with someone like Joan Jett, Coming In Hot is like I Love Rock ‘n’ Roll stretched over the course of an entire album, the safe, underdeveloped exercise in beat-hitting designed to appeal to as many people as possible, while actually doing very little of the sort. To her credit, Diamante does occasionally break out a few moments worth sitting up and taking notice of, like the closer Lo Siento sung entirely in Spanish to represent her Mexican heritage, or a cover of Lower Than Atlantis’ Had Enough to reveal a musical knowledge beyond the staples that so many acts of her ilk lack (though that’s also handily accounted for in a rather passé rendition of Heart’s Crazy On You). Beyond that, the micromanaging that this album has undergone is absolutely staggering, all in an attempt to shove Diamante into the bracket of the most marketable rockstar possible; she’s feisty and independent on F.L.A.G and Bulletproof, but there’s also an overt sexual streak thrown in there to appeal to that part of the demographic with the title track and Kind Of Love. Hell, when she sings “I am a robot” on War Cry you’ll be half inclined to believe her, given how any distinct human quality has been airbrushed away to mould the pileup of rockstar clichés that Diamante ultimately ends up being. The execution isn’t much better either, but at least there are discernible positives that stand out. Diamante is clearly more than ready for prime time based on the power and effortlessness of her vocals (bar the gratingly obnoxious brattiness on the awful Avril Lavigne pastiche Definitely Not In Love), and occasionally there’s a solid riff or hook to be stumbled across that does stick. For the most part though, this feels like the hard rock equivalent of stock footage, as basic and throwaway as it gets, churned out by a faceless backing band with no personality in any of them coming through in their playing. And given how plastic and obviously handled it feels as a whole, the production ensures that everything is neatly slotted into the right compartment to squeeze out as much appeal as possible. It doesn’t always end up as awful as on Haunted or War Cry where the guitars are crushed into buzzes to replicate grit, but the surplus of polish and the lack of any ingenuity whatsoever makes this a real chore to get through, not helped by a bloated fourteen-song tracklist when around half of them actually offer something at a push. And what’s most sad about it all is that Diamante could be a credible musician with a few years to season; even if the songwriting badly needs touching up, that’ll inevitably come in time, and she’s already got the vocal chops to reasonably succeed. But Coming In Hot feels like the product of an artist whose handlers have taken too much control and pushed her into the spotlight too early, sloughing off any personality or rawness for an easy mainstream crossover that’s bound to build some traction. Perhaps it won’t always be like this, but it feels like this is the hole that’s already been dug for Diamante, and it’ll take some serious work to get out of. 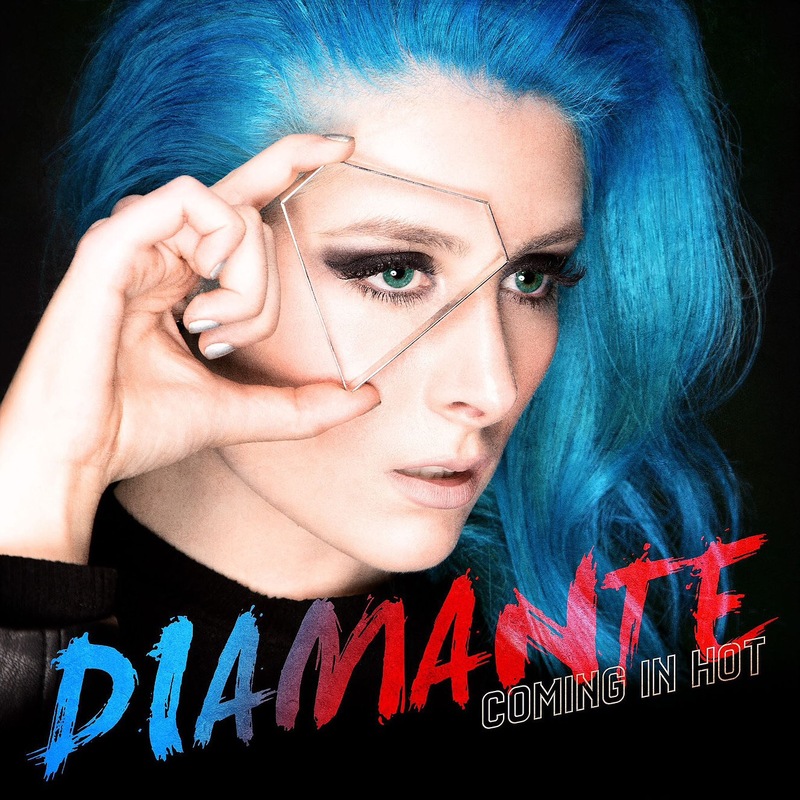 ‘Coming In Hot’ by Diamante is released on 15th June on Better Noise Records.